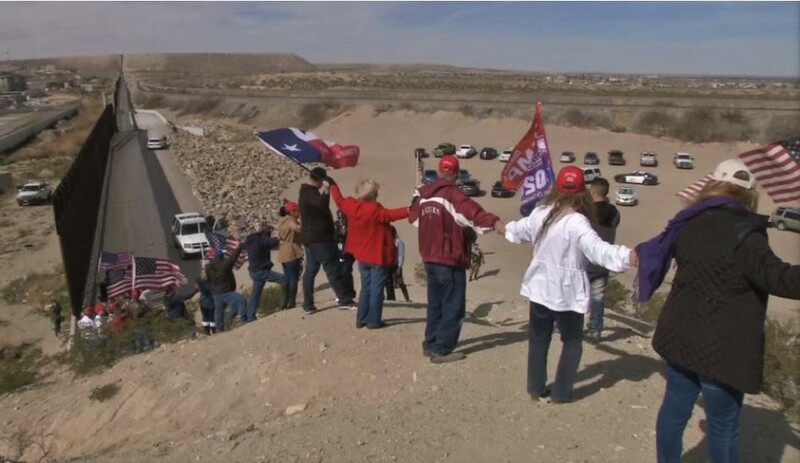 Dozens of supporters of President Donald Trump’s border security efforts heeded his call to “build a human wall if necessary” by literally forming a human wall Saturday across a gap in the southern border fencing just across the boundary line from Ciudad Juarez in Mexico. The demonstrators linked hands as they stood in line at the U.S.-Mexico border on Saturday near at Sunland Park, N.M., according to the Washington Post. Apparently, some of the president’s supporters took his tweet literally. The demonstration came just two days before Trump’s visit to El Paso, Texas for a 2020 campaing rally on Monday.